Aleph Objects Inc. (Loveland, CO), maker of LulzBot 3D printers, and IC3D Industries (Columbus, OH), a producer of premium 3D-printing materials, jointly announced the availability of what they claim is the world’s first-ever certified open source hardware 3D-printing filament. The desktop 3D-printing industry exists thanks to open source hardware projects such as Arduino and RepRap, and open source 3D printers lead the desktop 3D printer market, said Aleph Objects. Until the announcement at RAPID+TCT in Pittsburgh earlier this month, all 3D-printer filament remained restricted by proprietary or secret processes. At the event, IC3D released a 16-page white paper documenting its manufacturing process, parameters, material grades and more. “Proprietary materials should not be an impediment to advancing the use of 3D-printed objects for certified parts and other industrial applications,” said IC3D founder and CEO Michael Cao. “IC3D is committed to open source 3D-printing consumables. LulzBot and Aleph Objects’ focus on open source has been an inspiration to IC3D, and we’re pleased that they will be reselling IC3D consumables. 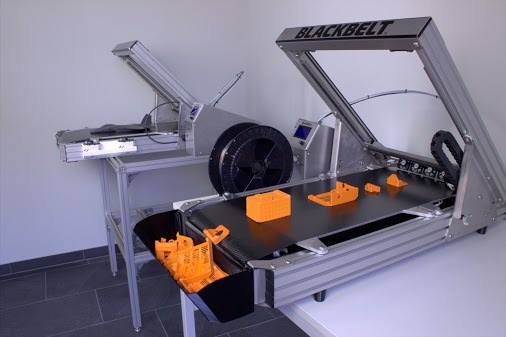 IC3D, founded in 2012 as a RepRap 3D-printer manufacturer, now operates a large-format 3D-printing service bureau alongside its filament production business. In October 2017, the Open Source Hardware Association (OSHWA) established a program allowing self-certification of open source hardware products based on stringent community-established guidelines. Each product receives a unique identifier that certifies it as open source hardware. LulzBot 3D printers are not only OSHWA-certified as open source hardware, but also are the only 3D printers with Respects Your Freedom certification from the Free Software Foundation. For the first time in history, when printing IC3D filament with LulzBot 3D printers, it will be possible to have a 100% free open source tool chain for additive manufacturing, from software to hardware to end product, said Aleph’s information.